Sometimes, when you hit a brick wall, it's good to back up, and try another route. Given the current brick wall with the unknown death date of Robin William George Stephens, former commandant of Camp 020, I thought I would back up all the way to his first wife. I have tried various side tracks with his second wife, Joan Geraldine Pearson Dowling and gotten nowhere. So this time, I thought I would take it back another step to his first marriage - to Phyllis Gwendolen (née Townsend) Fletcher in 1927. I wanted to see what had become of Phyllis. Did she remarry? Did she have children who might perhaps know something of her marriage to Robin Stephens. I thought this would be a rather simple blog post but I seem to have caught a tiger by the tail. Before we start, a few caveats are in order. Phyllis's middle name has be spelt many different ways: Gwendolen, Gwendoline, Gwendlyn - I have generally chosen Gwendolen for consistency. The same can be said of her surname - Townsend, Townshend, Townshand or even Townsand. I have generally left those in their original form but tend to gravitate to Towndshend. Fun, no? Suffice to say, it's been quite a job gathering all of the threads to this story and weaving them into a coherent whole. I can't say that I haven't made some mistakes and am always open to new information! Having said that... let's begin. Phyllis Gwendolen Townshend was born on 24 August 1899 to Charles Collingwood Townshend, a Royal Artillery officer, and Hester Amelia Folger. While I haven't been able to track down a location for her birth, she was likely born in India. Her parents had been married in Calcutta and two of Phyllis' older siblings were born in India. In 1905, Phyllis's mother passed way in India and the following year, Charles married Effie Emily Elles/Ellies in Agra, Bengal, India with whom he had at least one more child. There is some evidence that Charles and his family sailed back to England, arriving at Weymouth on 9 May 1909. At least one of his daughters stayed behind in India however. Muriel Sylvia Collingwood Townshend (born 1893) married Staff Officer William Black Eddowes on 25 December 1911 in Jubblepur, Bengal, India. From 1913 onwards, Charles and his other family members apparently lived at Brown Hill in Springfield Road, Camberley. The Royal Military College (Sandhurst) is on the edge of Camberley, and it is always possible that Colonel Townshend was involved in the instruction of young cadets. Charles passed away on 3 March 1918 in Camberley and was buried at St. Peter's Churchyard in Frimley on 6 March 1918. On 14 December 1918, Phyllis Gwendolen Townsend married Roger Cormell Fletcher at the Church of St. Luke's in Kensington, London. The bride was 21 years old and the groom was 24 years old. Roger was a Captain in the Indian Army and resided at 10 Courfield Road (SW). His father was William Fletcher (DSO) a former Captain in the Royal Army Medical Corps. Phyllis resided at 58 Redcliffe Square (SW) and her father was Charles Collingwood Townsend (deceased), formerly a Colonel with the Royal Artillery. Roger Cormell (sometimes Cormel or Cornell) was born 16 February 1894 in Wellington, Somerset to William Fletcher and Elizabeth Lawson. William had a Bachelor of Medicine and served with the Royal Army Medical Corps. According to other records, he was awarded a D.S.O. 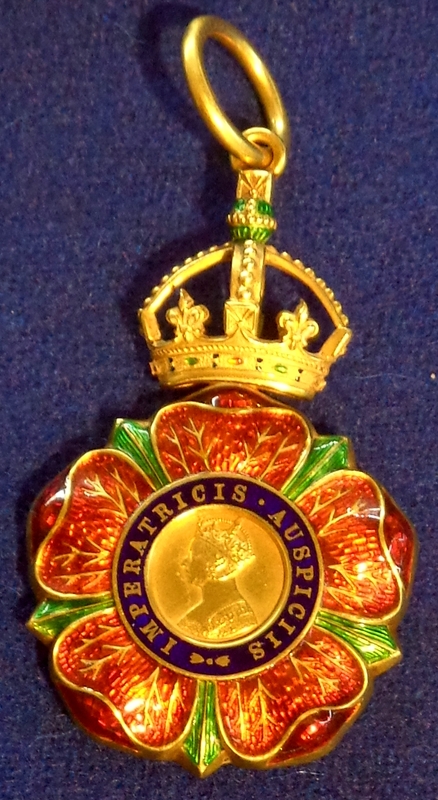 and the Ashanti Medal and Clasp (in 1901 for service with the Ashanti Field Force in Africa). Roger and his younger brother and mother were listed on the 1901 English Census as living in Forest Hill, Lewisham. On 14 January 1914, Roger received a commission into the Indian Army as a Second Lieutenant. According to the London Gazette, he was a gentleman cadet from the Royal Military College. On the 11 October 1914, he was listed as a Second Lieutenant of the 23rd Sikh Pioneers. On 13 April 1916, he was promoted to the rank of Lieutenant with the 23rd Sikh Pioneers, later ante-dated to 1 September 1915. In 1918 he was promoted to Captain and that same year, he returned to London to marry Phyllis. Less than a year after their marriage, Phyllis gave birth to a son, Ian Gordon Peter Kinselah Fletcher. The birth was registered in the last quarter of 1919 in Wokingham, west of London, near Reading. We then lose track of Phyllis and her family for almost a decade. By 1927, Roger was still a Captain with the 1st Battalion of the 3rd Sikh Pioneers but the marital situation of the couple had changed and ended in divorce. On 21 May 1927, Phyllis married Robin William George Stephens in Rawal Pindi, Bengal, India. By 1931, however, the couple had returned to England. In his army service records, Robin stated that he was "retired" in 1931. A year later, on 14 July 1932, Captain Robin W.G. Stephens, lately of 31 De Vere Gardens, Kensington, filed for bankruptcy. The bankruptcy order seems to have gone through and was discharged on 16 June 1933. That same year, Phyllis and Robin had moved out of London and were living at Yonder Lye (now a Grade II listed building) in Dunsfold, Surrey, southwest of England. Their surnames were given as "Townshend-Stephens". Robin appears to have bumped through a series of odd jobs and endeavours. He was admitted to Lincoln's Inn in November 1933 (topic of a a future blog post), co-authored several legal books and, eventually, in 1935, joined the British Red Cross for service in Abyssinia/Ethiopia during the Second Italo-Ethiopian War (another future blog post). By October 1936, he was back home, recovering from his injuries at the Royal Masonic Hospital in Ravenscourt Park, London. On 23 October 1936, Robin filed a divorce petition in which he stated that Phyllis committed adultery from 23 December 1935 to 25 May 1936 (presumably while Robin was in Ethiopia). On 22 January 1937 the divorce file notes that "Respondent [Phyllis] filed answer and affidavit verifying, and Petition for Alimony". The next, and final, entry is dated 5 October 1937 and simply states "Petitioner [Robin] filed Reply". There is nothing further on the divorce petition and one wonders if the divorce actually went through. Perhaps Robin and Phyllis were never actually divorced? By September 1939 when the National Registration was taken, Phyllis was living at 9 Cleveland Road in Uxbridge. Evidently, her relationship with Cathcart Jones did not amount to anything permanent. Her name was given as Phyllis G. Townshend-Stephens (although the single surname Stephens was later penciled in). Her martial status was "married" (not divorced) and she listed her occupation as "Army Officer's wife". [Robin, on the other hand was living at 64 Ebury Place in Westminster and gave his marital status as single (not divorced).] All of the entries following Phyllis's are "officially closed". The facing page of the National Register is cut-off but has W.V.S. Late (?) 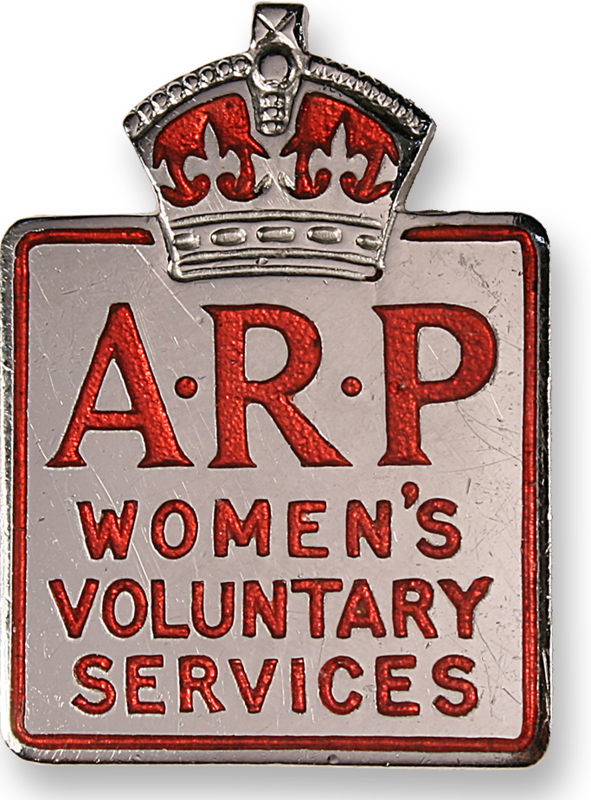 District Officer next to her name, suggesting that she was a member of the Women's Voluntary Service. According to the National Identity Card system, Phyllis's registration number would have been BVBR 64/5 (the fifth person in Household #64 in District BVBR). On the following page of the Uxbridge (BVBR) registration data, most of the entries are "offiically closed" but there is one entry that is of interest: a Barbara E.T. Fletcher, born 13 September 1921, single and an Army Officer's daughter, living at 9 Cleveland Gardens, the same address as Phyllis. Her registration number was BVBR 64/6, so the same household as Phyllis. In 1945, when the electoral register was taken, Phyllis was living at 62 Prince's Square in Paddington. Three Fletcher's were living in the same building: Ian Gordon Peter Kinsellah [sic] Fletcher, Barbara E.T. Fletcher and Antonia Fletcher. By 1946, the group had moved to 64 Southwood Lane in Highgate and was still living there in 1948. By 1952, Ian, Barbara and Phyllis had moved to a rowhouse (4a Queen's Avenue) in Muswell Hill Ward in the north of London (now part of Haringey). They continued to live there through to 1965. In 1965, Phyllis simply gave her name as Phyllis G. Stephens having dropped the Townshend-Stephens. As for the nature of the relationships between Phyllis and the three Fletcher's, that is another matter. At first, I had thought that Barbara was Ian's wife but... as I uncovered more information, I don't believe that's the case. I think it's safe to say that Ian is Phyllis's son, which leaves us with Antonia and Barbara. Given that both women were on the Electoral Register in 1945, they were both likely born sometime before 1924 (the voting age was 21 years until 1969). They therefore can't be children of Ian (born 1919). So what was their relationship? A bit of digging has revealed a burial registration for Barbara Effie Townshend Fletcher. She passed away on 24 April 1989, a resident of Fern Bank, Finchley Way and was buried on 28 August 1989 in Trent Park, Islington (grave/vault 1350 CA). Barbara was 67 years old which gives a rough birth date of 1922. The death registration index states that she was born 13 September 1921. Phyllis's mother died in 1905, when Phyllis was six years old. Her father, Charles Collingwood Townsend remarried in 1906, to one Effie Emily Ellies. Could Barbara Effie Townshend Fletcher be another child of Phyllis and Roger? Carrying the name of Phyllis' step-mother? It is a distinct possibility. The fact that Barbara was buried under her presumed maiden name, Fletcher, would suggest that she never married and likely never had any offspring. Barbara was not, however, the first person from the Fletcher/Townsend clan to be buried at Trent Park. On 6 January 1969, one Phyllis Gwendoline Fletcher (age 68) was buried at Trent Park in Islington, London. Her abode had been Hornsey Central Hospital in Crouch End, North London and she passed away in the last quarter of 1968 in Haringey. The age is about right (born around 1900). One could wonder if this is our Phyllis but this seems to be confirmed by another internment in the same grave plot: Ian Gordon Peter Kinselah Fletcher, born 28 September 1919, died in the last quarter of 1983 and buried 18 September 1985 (almost two years later). He had been living at 14 South Grove House in Camden. The age and rather unique name are in line with what we know about Phyllis' son (birth registered in the last quarter of 1919). Ian is buried in grave/vault 451 CD. The fact that Ian was buried with his mother would seem to suggest that he too never married, or at the very least, that he was not buried with his wife, if he had one. I haven't been able to dig up much about Ian, except one obscure reference. According to a British Gliding Association technical news sheet (8/9/10/76) from 1976, one I.G.P.K. Fletcher of 34 Warner Road, London was an Ordinary Inspector (#202) of the British Gliding Association. Not much to go on. As for Roger Cormell Fletcher, Phyllis' first husband, he continued to advance through the ranks after their presumed divorce in the mid 1920s. In 1931, Captain R.C. Fletcher submitted a report, as Assistant Commandant of the Burma Military Police, on an expedition to Burma. A year later, on 14 January 1932, he was promoted to the rank of Major. His father, William Fletcher, passed away in Edinburgh in 1933. Two years later, Roger married Joyce Irvine Gower Crawford in Kensington, London. We then lose track of Roger for a few years but he must have returned to India and continued his military career and been promoted. In early January 1938, Lt. Col. Roger Cormell Fletcher, Indian Army, Commandant of the 3rd Burma Rifles was appointed to be a Companion of the Most Eminent Order of the Indian Empire. There is some anecdotal evidence to suggest that on 3 March 1941 Roger commanded the 1st Bahawalpur Infantry as it sailed for Malaya. By 1944, however, poor health had gotten the better of Roger and he retired from the Indian Army on 11 September 1944. He must have recovered for in 1946, he and his second wife sailed from Liverpool to Bombay. It is unclear whether they remained in India for several years or traveled back and forth to England, but on 17 March 1954, Roger's wife, Joyce passed away in Glendon Kotagiri Nilgaris (southern India). Roger returned to England in 1958. He stated that he was a permanent resident of India and that his future residence was to be Scotland. Roger passed away in Scotland (Kelso) in 1968. Did and Phyllis and Roger have more than one child? Who was Antonia Fletcher? What happened to her? Who was Barbara Effie Townsend Fletcher? Did Ian, Barbara or Antonia ever get married and have children? Why did Phyllis carry the Townsend-Stephens name for so long after her split with Robin? Did Robin and Phyllis not finalize their divorce? Why was Phyllis buried as a Fletcher? Had Robin passed away and she was then free to take her previous surname?